Soft and high elastic: office chair high backrest and large size seat is padded with thick and molded foam, very soft to seat on, won't deformed after long use and easy to clean. 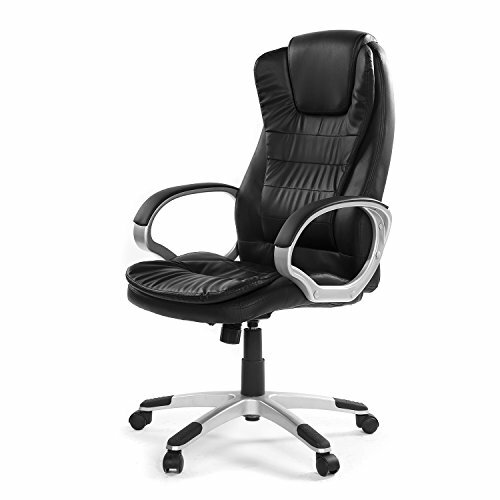 Ergonomic design: computer chair with built-in lumbar support, upholstered headboard and PU cover armrest, relax your body during work, study or gaming. Adjustable and swivel: executive chair height can be adjusted to suit for different desks or people; nylon casters support 360°smooth swivel even on carpet. Long warranty: freely product replacement in first 30 days, freely components replacement in one year. If you have any questions about this product by Green Forest, contact us by completing and submitting the form below. If you are looking for a specif part number, please include it with your message.